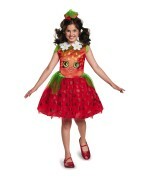 Child strawberry costume is for the little munchkins excited to wear a fruity outfit in the costume parties. 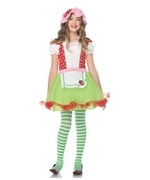 Halloweens, fancy dress, themed birthday parties, food festivals, promotional events, this costume sits well in all the aforementioned occasions. 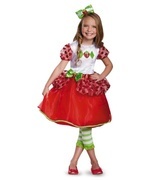 This costume includes the strawberry outerwear with a cute little cap on head. 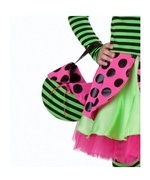 The black inners are not included. 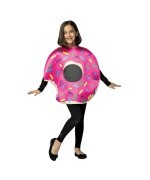 This costume is available in child size 7-10. 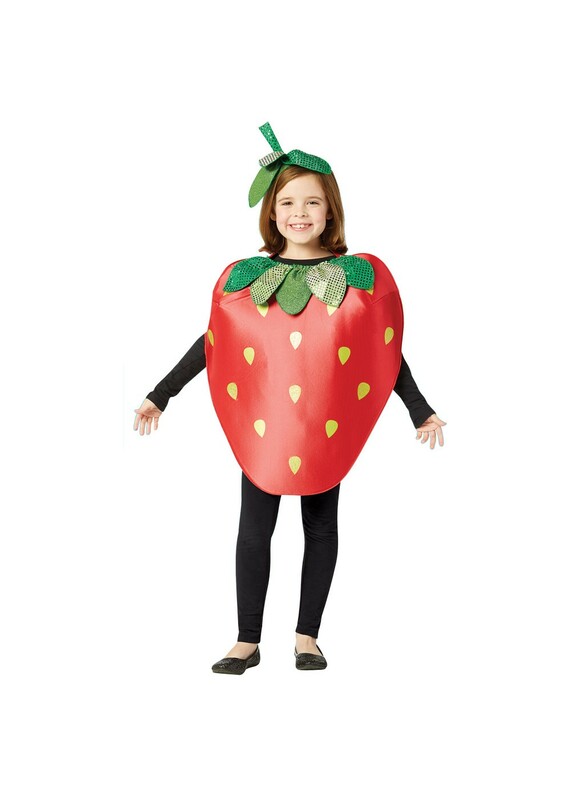 Strawberries are loved by most children as well as adults. 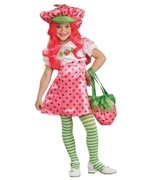 Carry a strawberry drink with you, like milkshake, and offer some to the people you will visit for trick-or-treat. 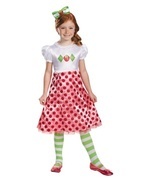 Or, carry sone real strawberries with you. 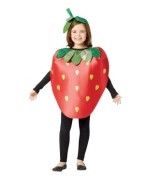 Review(s) for " Child Strawberry Costume"